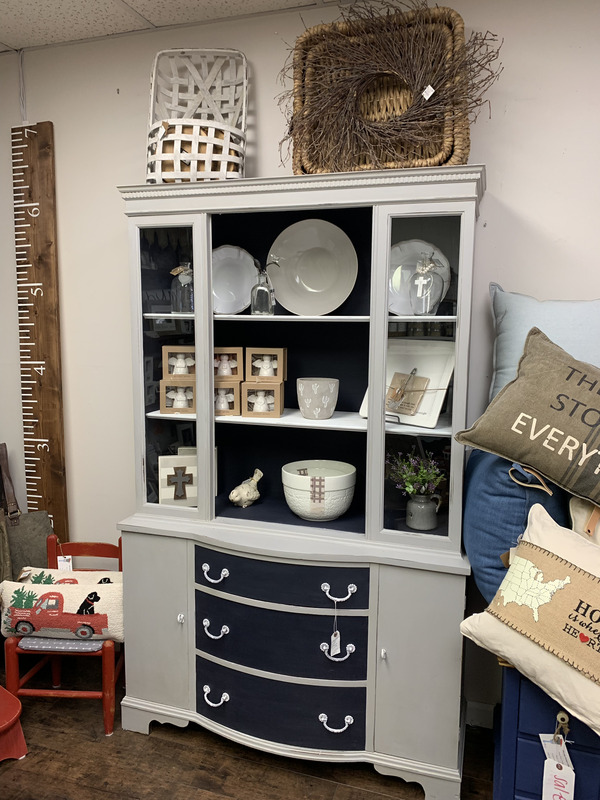 SSC Grey China Hutch With Navy Interior White Shelves. Be still my heart! This grey and ue hutch is a real looker! THE Perfect piece that boasts southern charm! This two toned glass front piece will be the perfect home to display your beautiful pieces of china!